Eight years ago today, Botswana hanged a Zimbabwean man for slaying four. Employed by his cousin Patricia Majoko as a filing clerk at her law firm — and also living with Majoko — Gerald Dube went wild when he was fired from the job in 2001 and slew his benefactress, her two children, and also the maid. Whether he was literally legally insane was the last and decisive argument around his case. 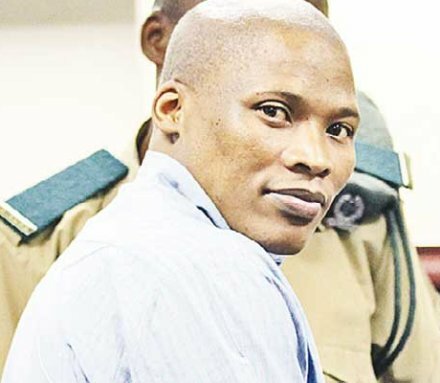 A month before his hanging Dube favored the larger public with a letter providing a firsthand account of life with four other condemned men in “Cell 10”, Botswana’s death row. Unfortunately I have not been able to locate this text in its entirety, but it is summarized in this article, which also quotes some excerpts. A few hours after nightfall, when the last prison lights have gone out and the only sound is the rustle of corrugated iron roofing and the chirping of night insects, the terror that envelopes Cell 10 seems closer and more palpable. Between the time prison officers come to take condemned inmate away, usually around 6 am, until the execution at 6 am the following morning, the inmates of Cell 10 listen in on every sound. Somewhere at the back of your mind you know that your brother is being executed next door. Every movement from the slaughter house can be heard very clearly in Cell 10. At night, prison warders sit through a night vigil, singing hymns the whole night. Just before 0600 am, there will be complete silence. And the hanging starts. You can imagine the emotional torture that comes with the whole process. Our day starts at 0500 am, that is when Radio Botswana switches on, and so do the prison lights. 0600 hours, the cell is opened and the only movement we can do is shuffling around the courtyard. Between 0700 and 0730 we have our breakfast. Lunch is served between 12 00 Hrs and 1300 Hrs and supper between 15 00hrs and 1545hrs. At 17 00 hrs we are locked back into the cell. The routine continues until the day the hangman arrives … In between 17 00hrs and 0500hours we do not have access to the toilet. The only toilet available to us is in the courtyard. Once we are locked in our cell we can not access this toilet. When we need to relief ourselves, that is when we need to pee or worse, the only thing at our disposal is a bucket that can only be emptied the following morning. Remember there are five of us using a bucket for whatever relief and this has been going on for years. We are tired of raising this with prison officers who have all been turning a deaf ear. When we complain, all we get from the officers is verbal abuse. We are reminded that we are on death row and have been condemned to death. We are reminded that we are condemned prisoners and that the Prison Department cannot waste government resources on condemned prisoners. The question we are asking ourselves is whether we forfeited our constitutional rights when we were sentenced to death? On this day in 2008, 49-year-old Kedisaletse Tsobane was executed in the southern African nation of Botswana for the murder of his ten-year-old daughter, Kgotso Macfallen. He was the first person to be executed under the administration of President Ian Khama. Tsobane approached Kgotso as she was walking to school in Francistown on the morning of January 20, 2004, and offered her a lift. She hopped into his car. Later that day, passersby found the little girl’s body in the bush. She was kneeling on the ground, hanging from a tree by an electric cable. I killed the child in an attempt to avoid liability in order to do away with my indebtedness. I was trying to do away with maintenance arrears. I killed the child by strangling it with a rope. He was supposed to pay 40 Botswana pula, or a little less than $4 a month, but he hadn’t parted with so much as a single thebe since Kgotso’s birth. He was deep in debt and his wife had begun to complain. Tsobane claimed that a week before the murder, Kgotso’s mother had taunted him about the debt, telling him he had to pay support for a child that wasn’t his. He said he got drunk and high on marijuana and committed the murder impulsively. Upon these mitigating circumstances Tsobane founded his case for commuting the sentence to life in prison. The prosecution, however, produced a death certificate for Kgotso’s mother: she’d died in 2002 and couldn’t have been teasing him like he said. And the court didn’t buy Tsobane’s plea that he was too intoxicated to realize the nature and consequences of his actions. His own statement that he’d strangled Kgotso and then hanged her from a tree to make her death look like a suicide probably didn’t help his case. He did not do so. He had, apparently, never paid any maintenance for the deceased, so even that had nothing in reality to do with her. Why then kill her, in order to get rid of his liabilities? Whatever his reasons, Tsobane took them with him to his grave. On this day in 2010, reggae artist, politician, activist and convicted child killer Modise Mokwadi Fly was hanged in Botswana’s capital city of Gaborone. He was the second person to be executed under the administration of President Ian Khama; the first was also a child killer. 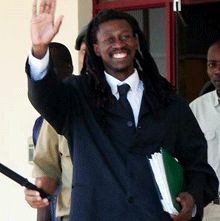 Fly, a South African national, had been general secretary of the Botswana Congress Party Youth League. On November 27, 2006, he killed his two-year-old son, Tawana Mosinyi, with an ax while the toddler slept. Fly maintained until his death that Tawana’s death was accidental and he’d actually been trying to throw his ax at the police who were firing shots at his house from outside. The prosecution believed Fly deliberately killed his son to spite the child’s mother, whom he’d recently quarreled with. 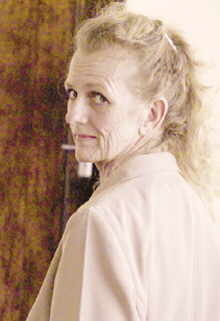 After his conviction on October 17, 2008, Fly apologized to Tawana’s family for his death. He sentenced to hang five days later, then he waited a year and a half for his date with death. Witnesses reported he seemed oddly cheerful and gregarious in court, smiling and chatting amiably with his friends and relatives who attended the trial. In February 2010, the month before his execution, Fly made an attempt to escape from prison. He was the first prisoner to succeed in escaping from Botswana’s death row — but he was only free for fifteen minutes. After his capture, it was alleged, he was brutally beaten by the guards and then placed in solitary confinement so no one could see his injuries. If the prison did in fact do this, it didn’t work: the news of the alleged mistreatment became public on March 23. Whether the timing had anything to do with his secretive execution the next day is unclear. Predictably, Botswana’s Department of Prisons and Rehabilitation denied that the prisoner had been abused or placed in isolation.